Coffee lovers beware: Climate change is threatening supplies of high-quality beans, with one coffee house hunting for the perfect bean to withstand warmer conditions. Tokyo’s Key Coffee Inc. is testing 35 varieties of Arabica trees in Indonesia in collaboration with World Coffee Research of Oregon and the Indonesian Coffee and Cocoa Research Institute. 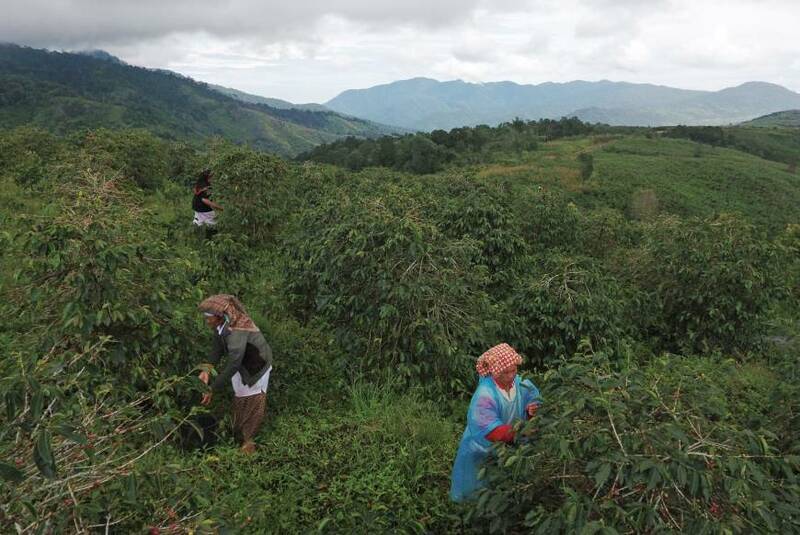 About half of the varieties planted two years ago may be suitable to grow in the highlands of Sulawesi, where the company runs its own farm. Global coffee consumption is forecast to expand 2 percent a year through to 2050 and production needs to double to keep pace, according to World Coffee Research. Yet areas fit for Arabica production may halve by 2050, according to the research body. Arabica beans are favored for their better aroma and flavor, while beans from higher-yielding and more disease-resistant robusta trees are mainly used for instant coffee. Key Coffee wants to add new strains to the existing five varieties of Arabica trees on the farm so the quality and quantity will be maintained even under abnormal weather, he said. For production of good-quality Arabica, temperatures need to stay between 18 and 21 degrees throughout the year, with annual rainfall of about 2,000 millimeters and a wide gap between daytime and night temperatures, according to All Japan Coffee Association, a Tokyo-based roasters’ group. To boost output amid unfavorable weather, producers may increase the planting of robusta, or a cross between Arabica and robusta varieties that are easier to grow, said Toyohide Nishino, executive director of All Japan Coffee Association. 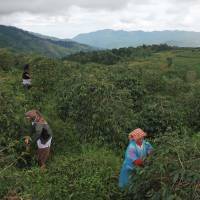 In Colombia, the biggest Arabica producer after Brazil, farmers are increasing the planting of newly developed variety called Cenicafe 1, which is a cross between Caturra — a common dwarf tree throughout Latin America, and Timor Hybrid — the strain made from spontaneous mating of Arabica and robusta plants on the Southeast Asian island. Key Coffee does not plan to use a cross in its farm as it is concerned that its aroma and flavor would not be as good as pure Arabica, according to Nakano. In Indonesia, Arabica output could increase if it was more profitable for farmers, said Ucu Sumirat, a researcher at the Indonesian Coffee and Cocoa Research Institute. In the marketing year that began in April, Arabica production in Indonesia is forecast to rise 17 percent to 1.4 million bags, while robusta output is seen growing 3.2 percent to 9.7 million bags, according to the U.S. Department of Agriculture. One bag weighs 60 kilograms. Coffee drinkers in Japan, the world’s third-largest coffee importer, shifted to regular coffee from instant as the nation’s economy expanded, according to Nishino of AJCA. Key Coffee uses as much as 50,000 tons of beans a year from Indonesia, Brazil and other countries, representing more than 10 percent of Japan’s total imports. With the current tree trials, final selections will be made once the trees bear fruit in about a year, said Nakano.